Finnish indie developer 10tons Ltd. has announced that it will be releasing new DLC for its most recent title, Tesla vs Lovecraft in Q4 2019. 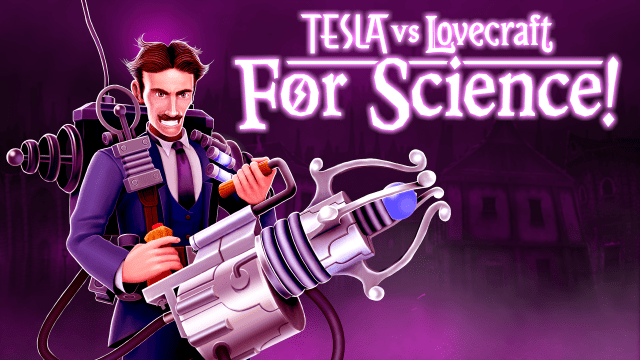 Tesla vs Lovecraft: For Science! will introduce 10 new perks (including 2 EPICS) and 4 new weapons to the base game. Included with these weapons is the Teslazi, “a submachine gun supreme”. Additionally, an EPIC version will now exist for every weapon. An endless number of Dreamland Planes will also be made available for players who find the Eldritch Plane too easy. Other new features include two new abilities, two new power-ups, two new inventions, and two new monsters. Lastly, more choices will exist when leveling up with the addition of a 3rd perk slot. Tesla vs Lovecraft released on Steam, PS4, Xbox One, Switch, and iOS in early 2018. It currently retails for $14.99 USD (€14.99 in Europe). The DLC pack will be made available for purchase in early December of 2019. Its retail price will be $4.99 USD (€4.99 in Europe). For those too anxious to wait a full year to get in on the action, a sign-up for the beta version has been made available on 10tons’ official website. An official Steam page now exists for the DLC as well. Finally, be sure check out our review of the base game to see what it’s all about.